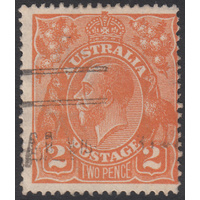 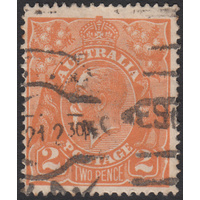 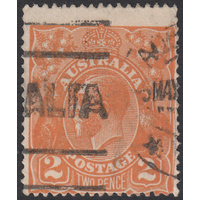 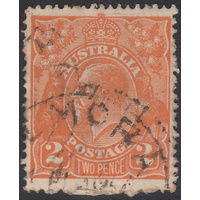 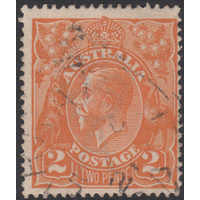 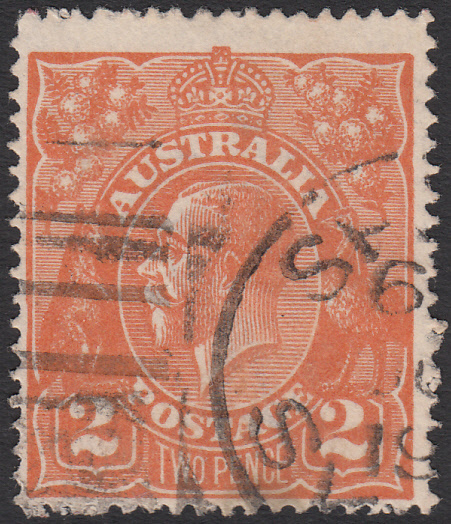 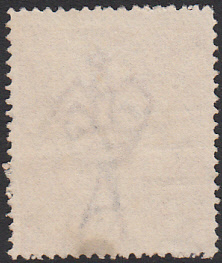 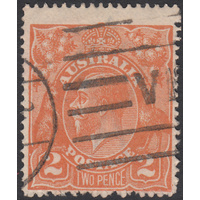 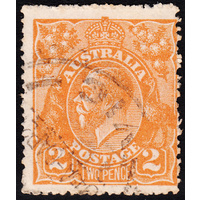 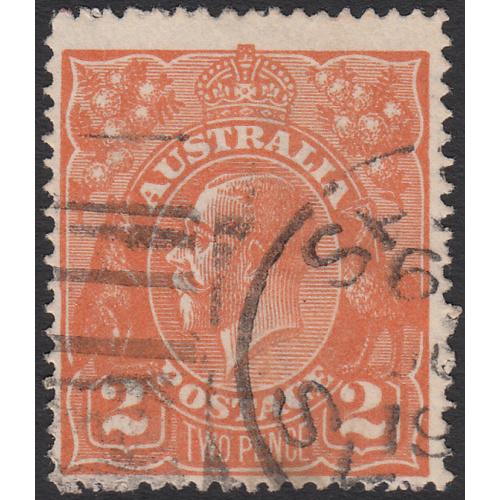 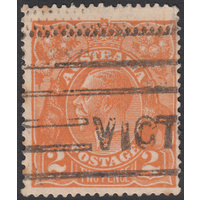 Australia KGV 1921, 2d Orange, Single Watermark, variety 6R16 (oval flaw on front of 'Roo's rear thigh) in Good Used condition with a minor crumple. 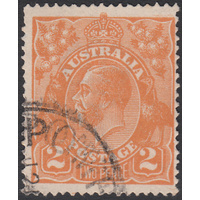 Centered low and left with a duplex cancellation passing through part of the variety, which is still obvious. 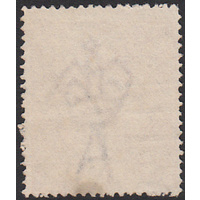 Scarce variety.